Afghanistan Independent Elections Commission (AIEC) says besides overall commitments in holding fair and transparent elections and following disputes between political parties and IEC in connection with holding the elections, upcoming presidential elections are determined to be held online. 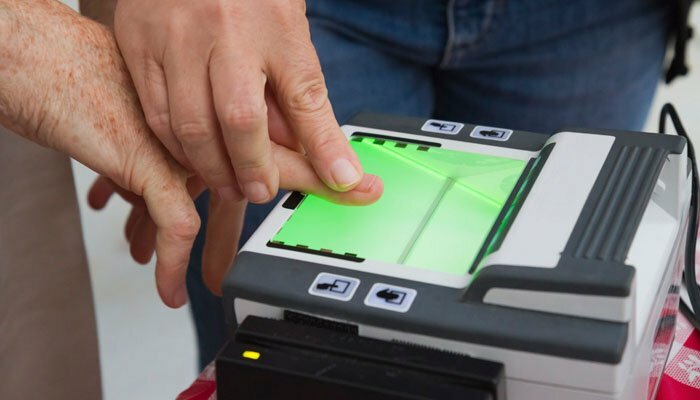 “Biometric devices that were used last year in parliamentary elections had various problems as they were not used properly, while some were out of order. Now, we’ve reached an agreement that new biometric system should be installed and start its work on a fixed time,” Nooristani said. Nooristani added with using of the new online biometric system in upcoming presidential and provincial councils’ elections, they could announce the elections’ results in one or two days. This comes at a time when final results of parliamentary elections of a number of provinces have not been announced so far. Informing of widespread reforms in the Independent Elections Commission, IEC chairperson says considerable reforms are underway in structures of the commission. Nooristani added they have codified MDR and submitted two plans for allocation of seats to presidential office in order to choose one of them, assuring the people of fair and transparent presidential elections set to be held during the current year. In the meantime, electoral watchdog organizations by welcoming the step said that reforms and procedures that have been followed by IEC would be effective for holding fair and transparent presidential elections. “If such steps and reforms are honestly and impartially executed within the Independent Elections Commission, the people of Afghanistan will then trust on a fair and transparent election,” Baryali Haqjo, a spokesperson to TEFA, said. He added that any procedures or plans followed by IEC should be clearly shared with the people, hoping that IEC would be able to hold the elections if such procedures or plans were followed during the upcoming presidential and provincial councils’ elections. Meanwhile, a presidential candidate Noor Rahman Liwal by welcoming the plan of using online biometric system by IEC in upcoming presidential elections said the plan would be in the interest of both IEC and presidential candidates. He added that for holding fair and transparent presidential and provincial councils’ elections, electoral commissions should jointly work in some cases with presidential candidates. It is determined that presidential and provincial councils’ elections as well as parliamentary elections of Ghazni will be held in September.